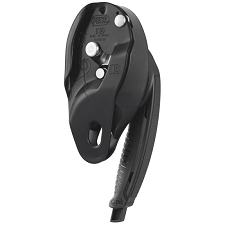 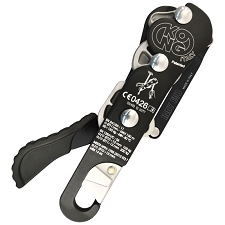 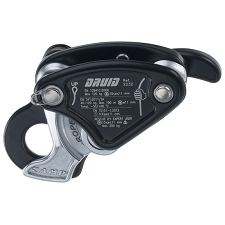 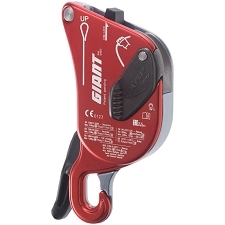 A lightweight compact auto−braking descender for rope access and rescue designed for semi−static ropes ranging from 10 to 11 mm. 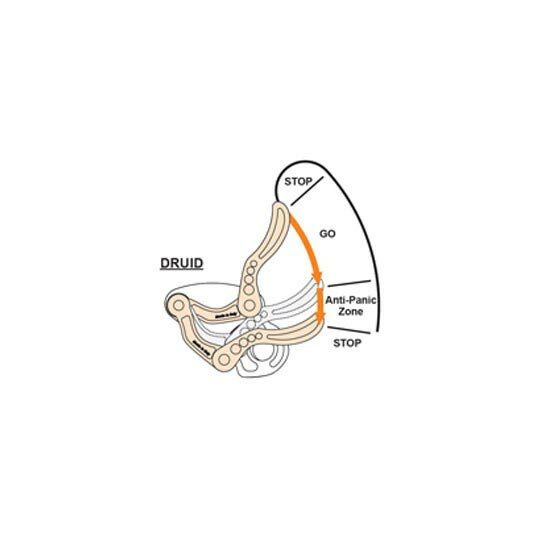 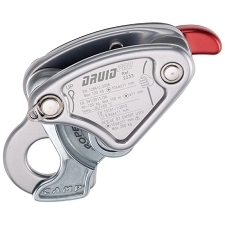 Proprietary anti−panic function in the lever re−engages the cam if the handle is pulled to far where it could lead to unsafe descent speeds. 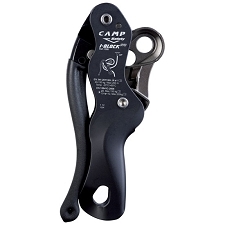 The body and lever are made of robust hot−forged aluminum alloy. 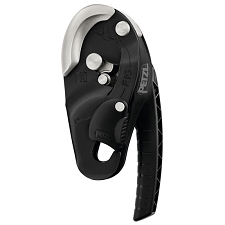 Mechanical parts are made of precision−cast stainless steel. 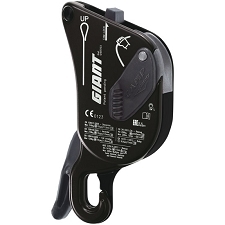 The internal mechanism and locking cam use a patented design for smooth action on the rope which prevents rapid wear−and−tear and absorbs energy from small shocks with a slight amount of rope slippage. 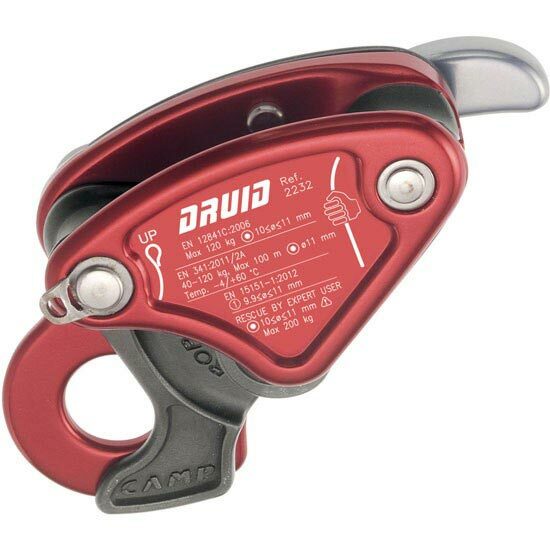 The fluid action on the rope also allows the Druid to function well for rope ascent. 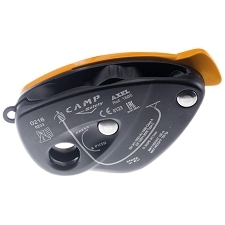 The cam can be de−activated with a trigger to allow quick sliding of the rope in situations with no load or limited load. 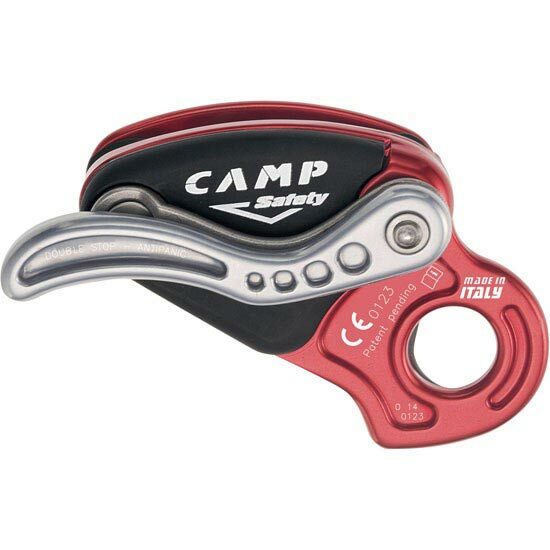 Steel ring for attaching a keeper cord. 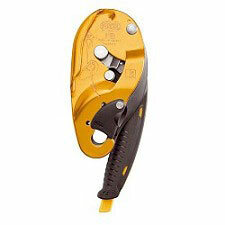 - EN 341/2A as an emergency evacuation device on a single line for workers up to 120 kg, 11 mm semi-static rope (Lithium 11 mm). 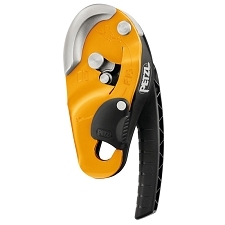 - EN 15151-1 for climbing structures using mountaineering techniques with dynamic ropes ranging from 9.9 to 11 mm.